Deploying JD Edwards internationally can seem like a daunting task, and what we’ve learned over the years is that you can’t treat an international ERP rollout just like a regular IT project. Understanding cultural differences is really important to the success of your project – you might like to read Redfaire International’s blog on the ABCs of International ERP deployments. As well as cultural differences, there are, of course, local regulatory requirements that need to be taken into account. To help you get a head-start on planning your JD Edwards deployment in EMEA, Redfaire International Consultants are writing a series of blog posts outlining some of the major European JDE localizations — they have already written on JDE localizations in UK, Ireland and France. This time we are taking a closer look at Belgium. Belgian VAT reporting in JD Edwards supports the setup of the combination of both the Document type of a Acc Rec./ Acc.pay. transaction and the tax area code to the correct position on the VAT declaration report. So, for example, you can assign the combination of a Credit note PD with Tax area B1 to position (aka ‘’Box’’) 1 on the declaration, and a PV with Tax Area B1 to ‘’Box’’ 2 on the declaration. The Belgian Tax Authorities require monthly VAT reports on the detail of the VAT amounts that are declared on all of the customer invoices, and for all invoices for suppliers. You generate one report for customers and another report for suppliers. All customers and suppliers must be included on the reports, including Belgian customers and suppliers, European Union (EU) member customers and suppliers, and non-EU customers and suppliers. The Belgian Tax Authorities require yearly reports that include value-added tax (VAT) amounts for all customers who were invoiced during the fiscal year. Only Belgian customers need to be reported. This report lists the total sales by customer (excluding VAT amounts) and total VAT amounts by customer VAT Registration id. In some cases, such as recognized health care providers, you might not have a VAT number for that customer. In those cases, you can assign 99_NB as a VAT/Tax ID value. 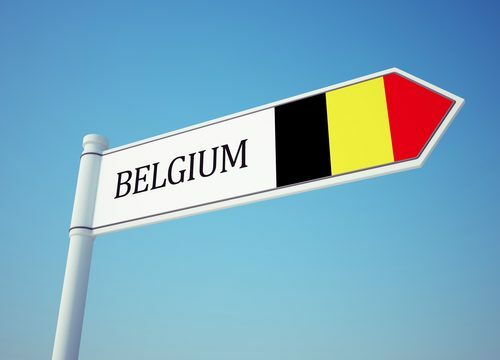 The Belgian Tax Authorities require periodic reports that include VAT amounts for all customers who are located in EU member countries, except Belgium. Only non-Belgian EU member customers who are invoiced during the fiscal period need to be reported. The Belgian Tax Authorities require that this information be submitted in XML format. This payment format is based on the current Belgian banker association standard and enables clients to write electronic funds transfers (EFTs) to foreign suppliers. This format supports the International Bank Account Number (IBAN); the output records contain the IBAN number and other related IBAN information if you set up IBAN information for your company and your supplier. Additionally to the payments functionality, you can assign the Sepa SWIFT (Society for Worldwide Interbank Financial Telecommunications) Code on the Set Up Bank Accounts by Address form. The I.B.L.C./B.L.W.I. is a Belgian governmental authority that requires reporting codes for all foreign payment orders. You must set up your suppliers and individual vouchers correctly before the Create A/P Bank Diskette – Belgian Foreign (R04572L2) payment format will use these codes. For Self-Billing there are also regulatory requirements to allow companies to create self-billing invoices. Normally you should refer on the invoice to the underlying contract agreement which states that both parties have agreed that the self-bill invoice can be created by the customer. The contract-agreement will ensure that Tax authorities agree with the information on the invoice, as one party is recognized to be the ‘’leading’’ partner for invoice creation with all the correct amount and tax related info. JD Edwards release 9.2 offers the alternate tax functionality for all EU Related shipments. You can set up the company, the supplier address number and the business unit to use the alternate tax rate/area assignment functionality. When you work with vouchers using one of these entities, this feature checks whether the alternate tax rate/area assignment functionality is enabled for the company. It also verifies whether the VAT registration number (Tax ID) exists for the business unit and the supplier. Finally it retrieves the tax rate/area from the alternate tax rate/area assignment setup based on the business unit address and supplier country codes. For Belgian Statutory compliance in financial reporting, companies must comply with the journal audit trails, which provide a proof that all goods-movements for purchase receipts have been processed via the p&l accounts. In general, companies receive their goods in general ledger on balance sheet accounts. Standard JD Edwards allocations can be applied to transfer these stock movements for goods received on a monthly or yearly basis between the balance sheet and p&l account balances in general ledger. The VIES validation will of course also support the Belgium VAT id registration numbering. Businesses in Belgium can use the VAT or RNPM (Registre National des Personnes Morales) number as the tax ID for reporting to the government, or they can use the unique enterprise number (numero unique d’enterprise) as the tax ID for reporting. The unique enterprise number must always begin with the character 0. The Single European Payments Area (SEPA) initiative for European financial infrastructure involves creation of a zone in EURO in which all payments are considered domestic and there is no distinction between the national and international payments. The SEPA Credit Transfer scheme is supported. The Single European Payments Area (SEPA) initiative for European financial infrastructure involves creation of a zone in EURO in which all payments are considered domestic and there is no distinction between the national and international payments. The SEPA Direct Debit scheme is supported. Tool allowing companies to do a mass update of the suppliers’ and customers’ bank accounts with the BIC and IBAN account information. The VAT Information Exchange System (VIES), maintained by the EU commission, offers a web service that allows verification of VAT registration numbers issued by the EU Member States [http://ec.europa.eu/taxation_customs/vies/]. EnterpriseOne automatically accesses the VIES SOAP service via a new business service. The European Community Sales Listing is a recapitulative statement that lists the goods supplied and the services provided to customers registered for VAT in other European Union [EU] Member states. It is required in most EU member states. To generate the European Community Sales Listing the system uses Oracle’s BI Publisher. All EU Member countries are required to provide Intrastat submission if their imports or exports with other EU Member countries exceed published limits. The Intrastat localization is integrated with the Inventory, Procurement and Sales Order Processing applications for the capture and maintenance of detailed statistical information regarding merchandise trade between members of the European Union. Information that is tracked by the Intrastat system is based strictly on the actual, physical movement of goods between member countries. Intrastat information does not apply to the movement of monetary amounts or placement of orders between member countries. The major features of the Intrastat system are common in all member states, but the system allows national specificities to be taken into account. The Intrastat localization provides maximum flexibility to meet country-specific Intrastat exporting requirements. Applications are provided to filter data from standard system tables to a work file, according to the reporting company’s business practices. From the work file, data may be processed and output as required for Intrastat submissions. The output may be organized to meet most country-specific Intrastat reporting requirements. Export Intrastat information from the Sales and Purchasing systems to the IDEP/CN8-CBS IRIS Intrastat reporting package.